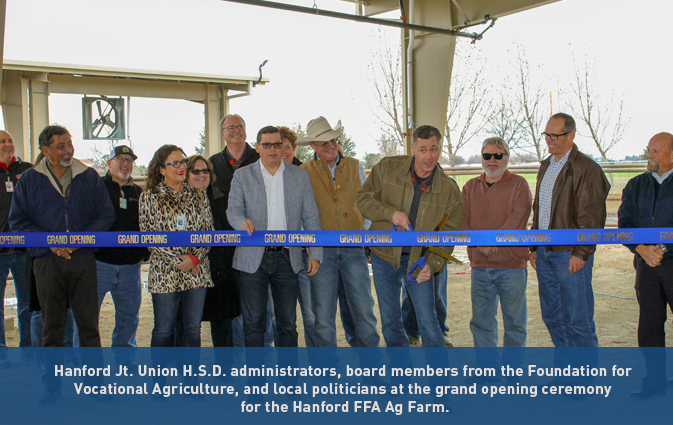 HANFORD — Students, educators, elected officials and community members gathered Friday to celebrate the ribbon cutting for the new Hanford agricultural school farm and learning laboratory. 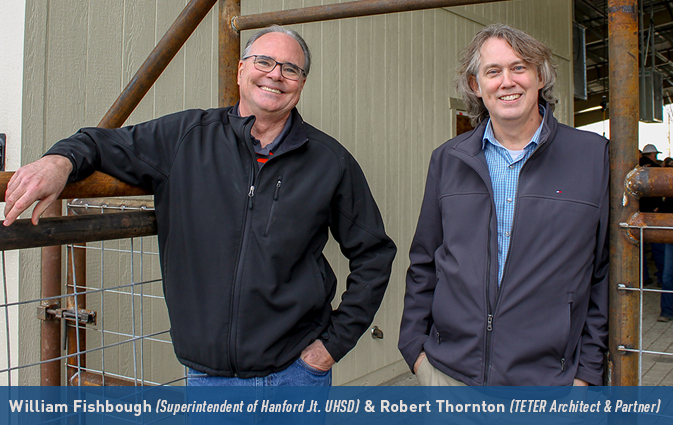 Combined, Hanford High School, Hanford West High School and Sierra Pacific High School have over 900 students in agricultural programs, making it one of the largest in the nation. 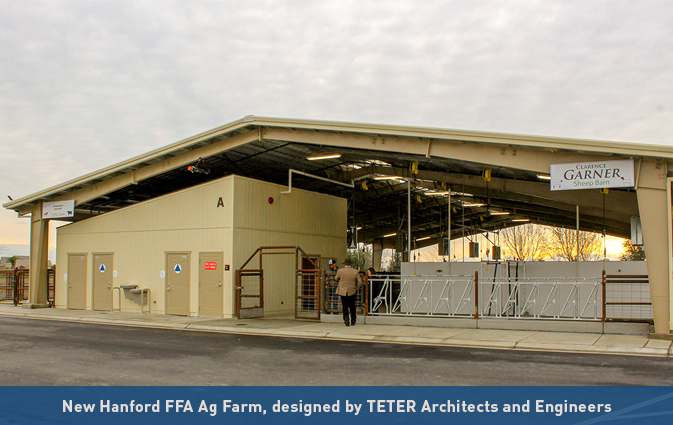 Of all the Future Farmers of America programs in the state, Hanford was one of only two programs that didn’t have a school farm. 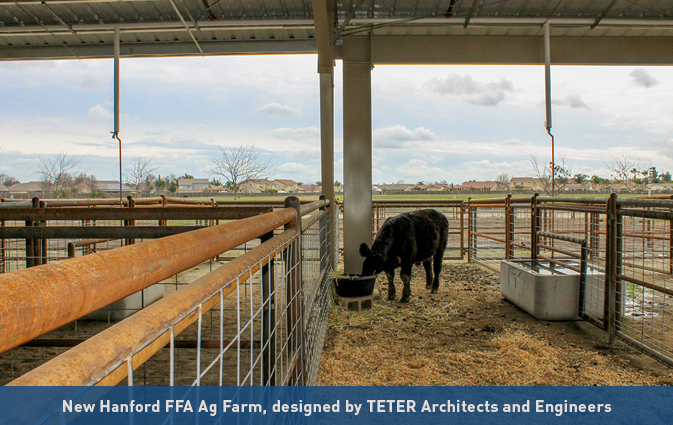 The farm sits on a 3.9-acre site behind Sierra Pacific High School, near the intersection of Centennial Drive and Greenfield Avenue. 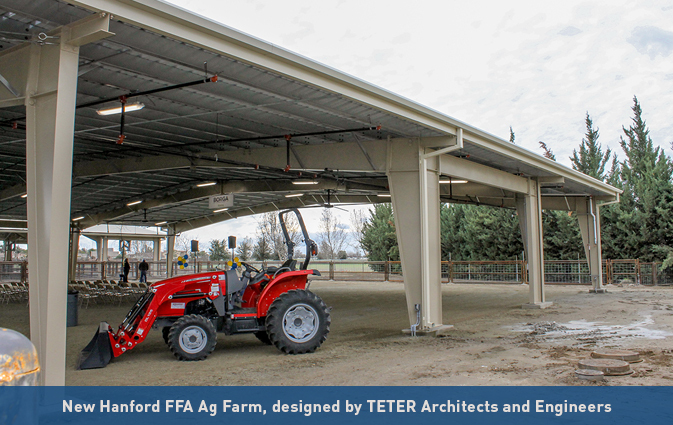 The farm includes a 8,621 square-foot sheep and cattle building, a 3,442 square-foot swine building, a 10,268 square-foot arena building and a 2,521 square-foot small animal building. Originally published on THE SENTINEL on January 20, 2018.